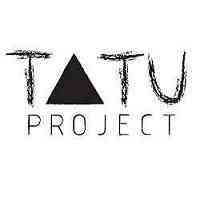 TATU Project is a non-profit organization that facilitates equal and sustainable development for the rural community of Msitu wa Tembo and Londoto in Northern Tanzania. We address community needs and build effective solutions through active collaboration with members of the community and relevant stakeholders. W.E. Grow is a personal empowerment project that aims to empower the women of the Kazi na Sala women’s group in the social and interpersonal areas affecting their lives. The long-term goal of W.E. Grow is that the women in Msitu wa Tembo will feel empowered personally, within their families, and as members of a larger society. W.E. Grow provides a personal empowerment program for each woman to increase their agency on individual, relational, societal, and institutional levels. Then, through group support, they may start paving the way towards their personal objectives. The role of the Project Coordinator is to support the Program manager and team members in daily operating duties whilst working together towards long-term goals and strategies. This will support the project to become more sustainable and assist the women involved to become more independent and empowered. • The volunteer position is UNPAID.